Book Review: Could Your Marketing Become a Profit Center? If the title Killing Marketing doesn’t grab your attention, nothing will. It’s the latest page-turner, released today, from Joe Pulizzi and Robert Rose — and one that if taken to heart, could stand to transform an industry. The premise of the book is that traditional marketing — campaign-centric, product-led operations — is more than holding us back; it’s bound to leave us in the dust. Pulizzi and Rose instead suggest that companies large and small must turn their marketing strategy into a standalone profit center. What does it mean to turn marketing into a profit center? Sure, marketing incurs costs, but it helps drive those customers down the ever-loving sales funnel leading to a purchase. But Killing Marketing suggests that the most successful companies will begin to monetize their marketing offerings themselves. Imagine marketing that drives profit. Picture marketing teams that run like their own business, not just support a business goal. Sure, content that supports business goals like demand generation or customer loyalty is nice. But the future lies in drawing direct revenue through advertising or sponsorship, conferences and events, premium content offerings, donations and subscriptions. It’s not a pie-in-the-sky concept either. Killing Marketing has no shortage of examples of companies already embracing it. One such example is Arrow Electronics, which distributes electronics components. Recognizing the struggle of electronics publications to survive on advertising, Arrow Electronics saw a tremendous need to serve engineers with quality content. It purchased a portfolio of engineering websites, e-newsletters, databases and more from struggling media companies, and essentially created a media company that delivered its own stream of revenue to the company. But with $24 billion in annual revenues, Arrow Electronics is one of the largest companies in the world. What about smaller companies without significant budgets? 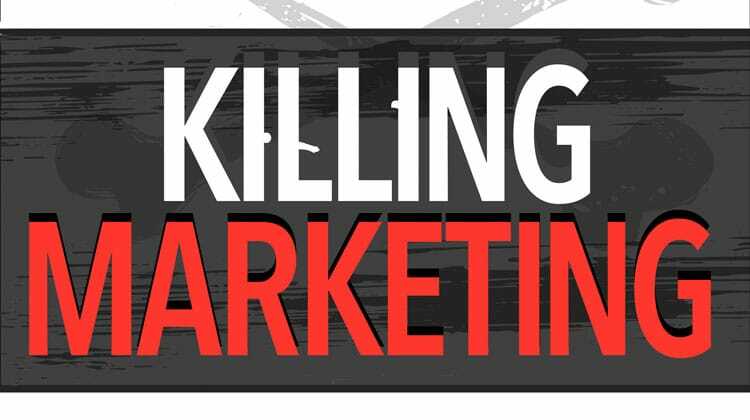 Killing Marketing offers up an example of a small startup that has embraced the marketing and media company idea. Terminus, which sells account-based marketing software, came up with a concept called “Flip My Funnel” and built a following by blogging about it on LinkedIn’s open publishing platform. As more and more marketers began to follow its work, Terminus launched a complementary “Flip My Funnel” event. Today, the conference attracts more than 600 customers and prospects, and is sponsored by large software companies like Salesforce and Marketo. This small startup has completely monetized the “Flip My Funnel” brand and turned it into a profit center. If you are ready to rethink the concept that it takes money to make money — and even if you aren’t ready — this is the book for you.